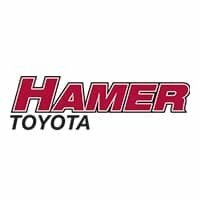 The Finance and Lease Department at Hamer Toyota is committed to helping you obtain the optimum financing for the new or used car of your dreams. Whether you purchase a New Toyota, Certified Pre-Owned Toyota or one of our many quality used cars, we offer a wide range of financial products and programs to help protect nearly every component of your vehicle. Obtaining a customized auto loan or Toyota lease in the Los Angeles, Burbank, San Fernando or Santa Clarita Valley area has never been easier. Start the application process from the comfort of your home by completing our secure online credit application form. We will contact you with additional information about your car loan or lease as soon as we have reviewed your application.